Deborah Hale sold her first book to Harlequin twenty years ago and has seen massive changes in the publishing industry since then. After writing thirty books for various Harlequin imprints, Deborah began independently publishing new content and older titles to which she has regained publishing rights. 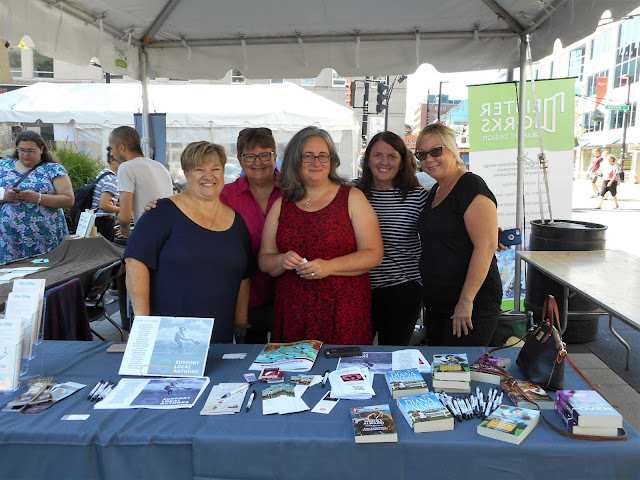 Romance Writers of Atlantic Canada, a chapter of Romance Writers of America, is a not-for-profit professional organization dedicated to enhancing the craft and art of writing, providing industry knowledge, and advancing the careers of our authors. RWAC offers a supportive environment and opportunity to learn about the romance publishing industry and the craft of writing. RWAC supports diversity. Our members and books encompass an array of sexual orientation, politics, racial and ethnic backgrounds. Please note, we are a chapter of Romance Writers of America. You must be a member in good standing with Romance Writers of America, in order to qualify for a membership with RWAC.